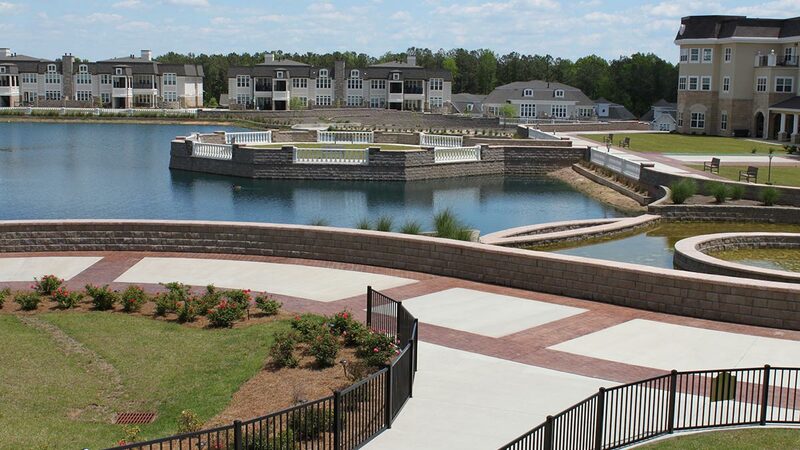 SearStone Retirement Community is a Life Plan Community in Cary, NC with several Independent Living residence styles. 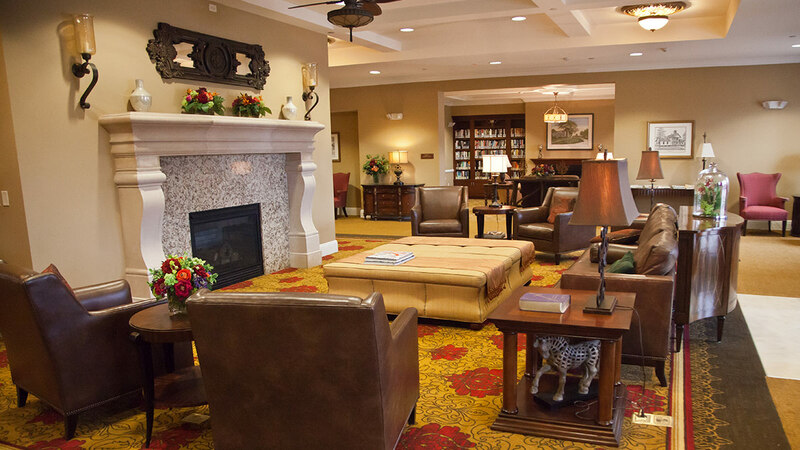 The community provides on-site Assisted Living, Skilled Nursing Care, and Memory Care at no additional expense. 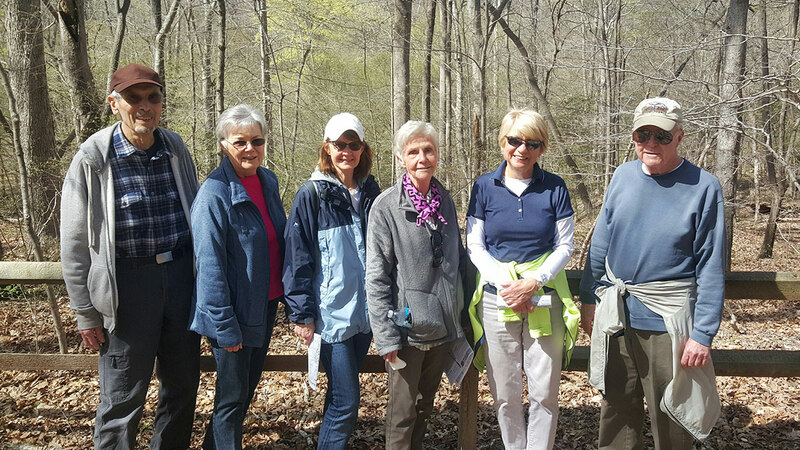 SearStone Retirement Community is a Life Plan Community in Cary, offering Independent Living based on the belief that you can create the life you want for yourself, even in retirement. 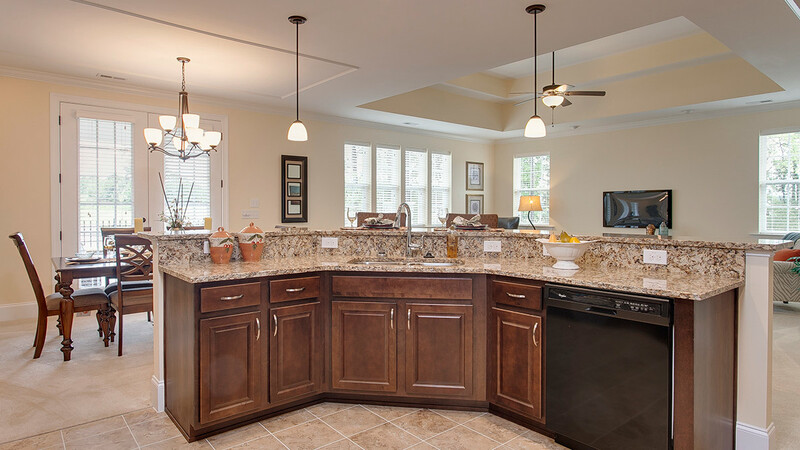 SearStone offers an extraordinary, yet friendly lifestyle. As a resident you enjoy a host of amenities and services including a vibrant cultural and educational program of events, a state-of-the-art fitness and wellness center with indoor swimming pool, fitness program, hot tub, massage room, and beauty salon. 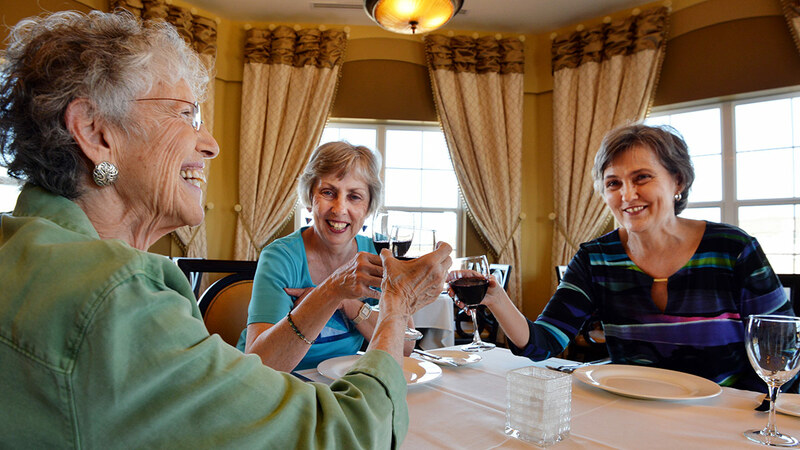 The Winston Clubhouse is the hub of our retirement community’s social and cultural life. SearStone has three restaurants exclusively for residents. They provide transportation services to cultural outings and medical appointments, and a 24/7 security and emergency call response program. All of your home maintenance, insurance, taxes, and utilities are included as well. At SearStone, you will also have the security and peace of mind of knowing that health care is available at costs that don’t change dramatically, even if your health does. Take advantage of a full range of health care services on-site, including physical rehabilitation and Life Care at predictable costs. The community provides on-site Assisted Living, Skilled Nursing Care, and Memory Care at no additional expense. When you compare our services and amenities package to the bills you’re paying at home, you may not believe the value. When you consider the financial and health care security of Life Care, you will appreciate life here even more. When you realize that 100% of your entrance fee is refundable to your estate, preserving your assets for your family, you’ll see why so many people have already made SearStone their choice for the future. SearStone created a close-knit community where everything is within walking distance, or at most a golf-cart ride away – dining, retail shops, public spaces, and a wide array of housing choices. SearStone offers more than 25 floor plans and a selection of five distinctive residence styles, which can be customized to suit your tastes. SearStone offers gorgeous private homes in Woodside Estates and Creekside Estates. Choose from 10 different styles of 1-, 2- or 3-story estate homes, available with attached 2-car garages and options like elevators and finished basements. Lorraine Plaza has gorgeous windows and impressive architectural details, which create a picture-perfect vista inside and out, with lakefront views and a patio. Many of the one- and two-bedroom residences feature bay windows overlooking the lake at the center of our community. It is just a short stroll from Lorraine Plaza to the clubhouse and activities along the lakefront. Calais Terrace has sunrooms, balconies or patios built for entertaining. Nine different floor plans with one- and two-bedrooms, plus den and multipurpose spacious nooks. Picnic with friends and family beside the lake with its piazza and fountain. It is only steps to the fitness center, pool, beauty salon, and all the activities at the clubhouse. 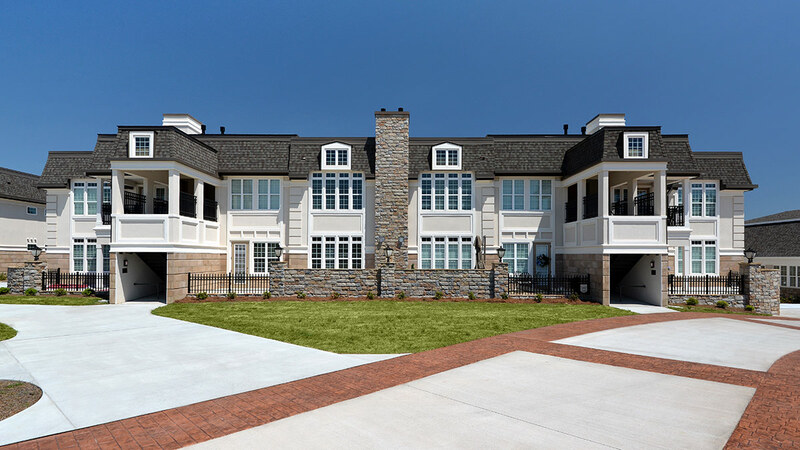 Clubhouse homes are the most cozy and convenient to SearStone’s Winston Clubhouse, with restaurants, fitness center, and lakefront. 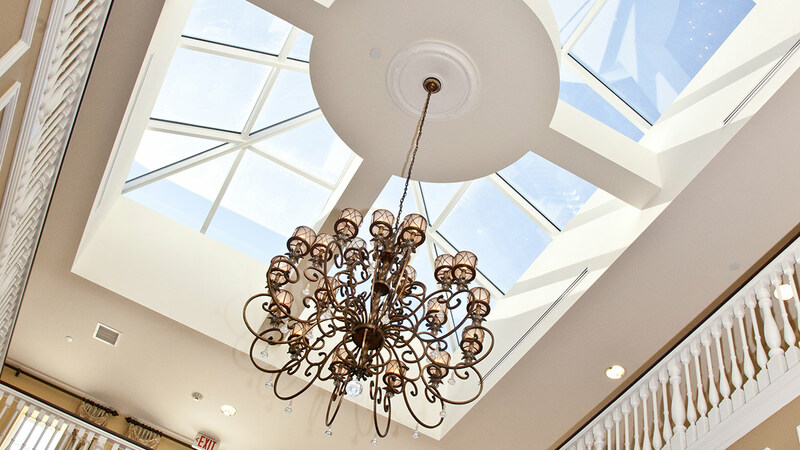 Choose among eight different one- and two-bedroom Clubhouse floor plans, with architectural designs to suit your style – from a room-size balcony to a turret with a sunroom. The Flats are spacious residences overlooking the lake with opulent amenities. They feature two-bedroom, two-bath floor plans with natural gas fireplaces as a standard feature, large windows, balconies, generous storage units, and covered parking, all within walking distance of the Winston Clubhouse. 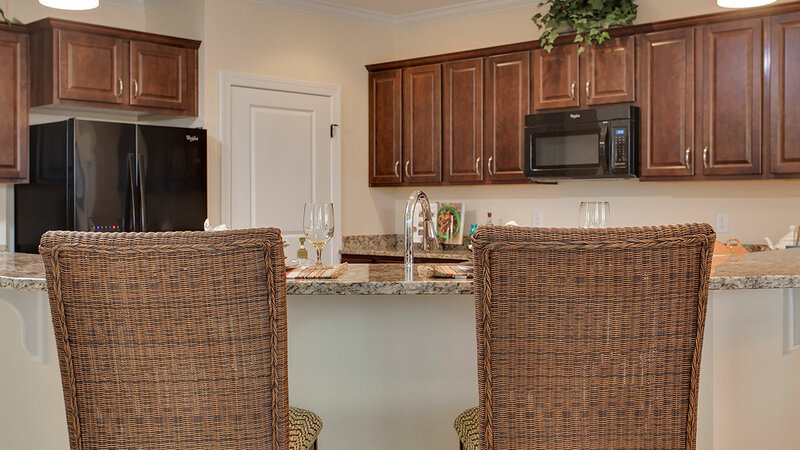 SearStone offers its Independent Living residents more and better options, all on-site. State-of-the-art Assisted Living, Skilled Nursing, Memory Support, and a wide array of services can be brought right to your SearStone home. With Life Care, you can control costs because your rates don’t change dramatically, even if your health needs change. Life Care gives you a long-term plan you can live with – health care security with financial stability and powerful asset preservation. Life Care provides significant asset preservation and tax advantages for seniors, and works well with or without a Long-Term Care Insurance plan. A portion of both the entrance fee and the monthly service fee is recognized as a prepaid health care benefit and may be deducted for tax purposes. Assisted Living accommodations are in Brittany Place, a state-of-the-art health care neighborhood. It looks and feels like any of the inviting neighborhoods in SearStone – comfortable, warm, and complete with all the conveniences of contemporary life. You receive outstanding care, and our personal approach helps you do more of the things you love while retaining your privacy and dignity. SearStone’s medical services and skilled care is provided in a beautiful setting at the Brittany Place health care neighborhood. 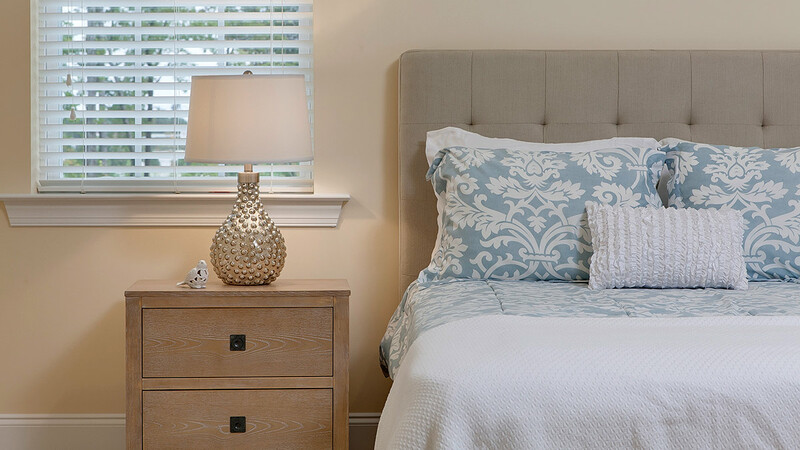 Residents enjoy privacy and comfort in a homey setting that reflects the engaging quality of life all over SearStone. 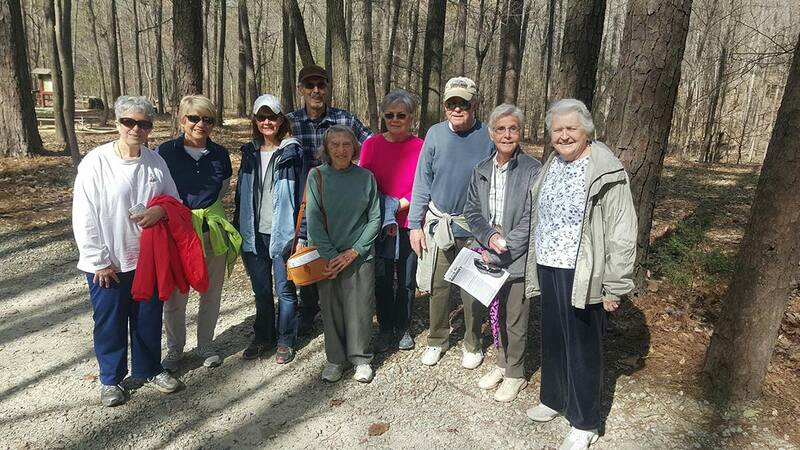 Residents get top care and become involved in stimulating activities that help make each day rewarding and nurturing. SearStone understand the difficulty of caring for someone who needs memory support. The state-of-the-art health care neighborhood, Brittany Place, features the latest security and safety features, as well as an advanced approach to care: focusing on each resident’s history, skills, and preferences, to create meaningful days of tranquility and warmth. Our caregivers are specially trained to provide a nurturing, secure home for your loved one.